If you want to experience Cuba as a local visit us. Our classes immerse you into the local culture where you will experience a culinary "occasion" like no other. This is much more than a culinary experience--it is a cultural experience--a chance to meet and learn from the local Cuban people. We will exchange ideas and learn each day thru guided discussions and opportunities for learning about the historic and rich Cuban culture. Cooking experiences change daily and with each meal. You will make authentic Cuban dishes with fresh "whats available" ingredients. We are the real deal! If you're looking for professional chefs, you won't find them here. 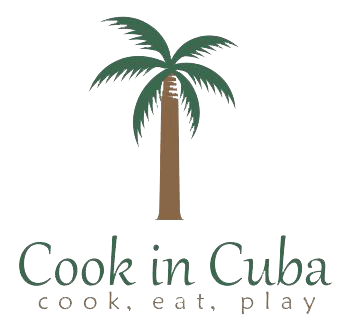 Our classes are taught by the local Cuban men and women where we will also learn about the Cuban culture and its unique history as we cook. Some classes are in paladars, where there are only 12 seats by law! Learn how Cubans manage to create meals from an ever-changing "supply system." You will see how locals learned to thrive on local food while relying very little on foreign products and groceries. Our cooking school in Cuba is like no other…because of Cuba's unique food supply and newly changing culinary atmosphere! Each kitchen, person, and story is different and each is unforgettable.